Our parents play a very important role in our life and they have molded us to become who we are today. Thus, on the birthday of your father, it is just right that we send them a message of gratitude for all the great things they have done for us. 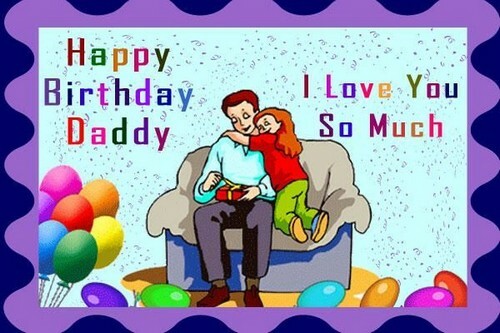 So here are Happy Birthday Daddy messages that you can send on your father on his special day. To the most amazing dad in the world, thank you so much for being there for me and for encouraging me to work harder. I know I would not be who I am not if not for all your words of wisdom and encouragement. Happy bday dad! Happiest birthday to the greatest man on earth – my dad! He has taught me everything in life and I am so honored to have him as my father. People say that we learn from those who have loved us the most. And I truly agree on that. Thank you daddy for your unending love and support as it has truly helped me to become the person that I am today. Wonderful birthday to you and I wish you all the happiness and success in this world. Another year has gone and with each passing year, I am reminded of how lucky I am to have such a great father in my life. Thank you dad for being with me and for teaching me the best life lessons. Best birthday! Happiest birthday to the man who loves me more than anything in this world. 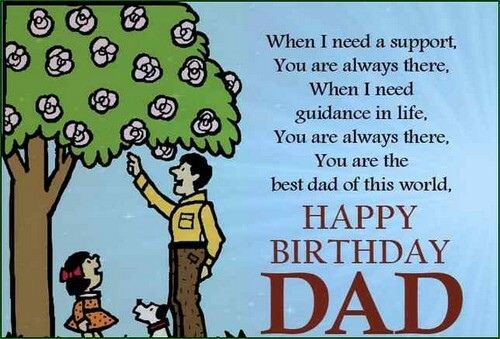 Daddy, may your day be filled with so much love and I wish you all the best things this life could bring. To the person who is always at my side – my dad! Best wishes to you and may you have a wonderful day. I love you! To my best friend who is also my dad who stands by men through thick and thin, have a best birthday ever! Special birthday wishes to the man who serves as my mentor and my superhero – my father. Dad, thank you for all the things you have done for me. I hope you will have an amazing birthday. Dearest dad, thank you so much for being a great father for all of us. Best bday. 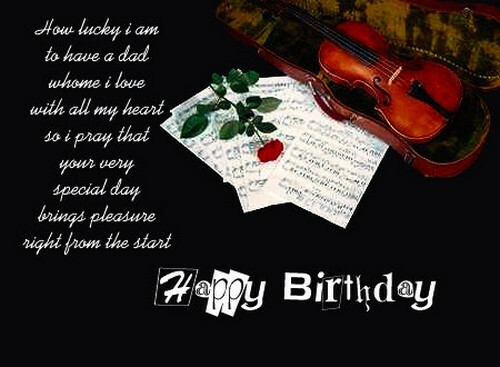 Dear daddy, I am wishing you a very wonderful bday. May you be happy on your special day. I love you so much! Whether it’s a muscle or a fat, there is a heart that truly cares to the ones he loves. Best birthday, Dad! A dad will never forget how to be a man, to show his kids how to be human. Wonderful birthday! 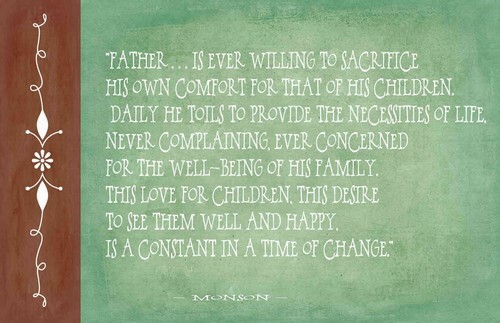 Daddy, we wish that you stay strong and healthy, responsible and selfless, all for the reason of genuine love for us. This day reminds us that a man like you was born to take care of a family, love them unconditionally, be able to forgive and be a shield to his household. Happy bday to the most important person in my life – my daddy. Thank you for all the great things you have done for me. I love you! Dad, it may not always be easy to find time to spend together or to even talk on the phone. 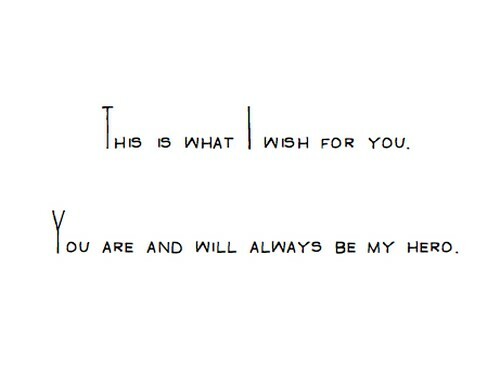 But I just want you to know that you will always be my hero and that I am always here thinking of you. I hope you have a blast on your birthday. Happy bday! Dad, your birthday is just another day of the year but this is the day that I get to celebrate how lucky I am to have such an amazing daddy. Thank you for everything daddy and for being my inspiration, have a Wonderful birthday to you! People say that you should make a wish when you blow out the candles on your birthday cake. Daddy, may all of your wishes come true on this special day. I love you, best birthday. To my dearest daddy, please know that you are the funniest and smartest man I have ever known. Wonderful bday to you. Happiest birthday to the man who has been my guide and my inspiration all throughout my life. I love you daddy. From dada to daddy, you have always been by my side dad. Happy birthday to you, I love you. In grade school, you have helped me with my studies. You have supported me in high school and inspired me to get a good career. Thank you dad for always being at my side, I love you. The greatest love that a father can give to his kids is the freedom to make their own mistakes. With this, I can say that you must have loved me a lot daddy. Best bday. Daddy, you have taught me the true meaning of hard work and the importance of truth as well as the honor of duty. I salute you daddy, today and forever. I love you, best bday! Even when I was small, you have always loved me. 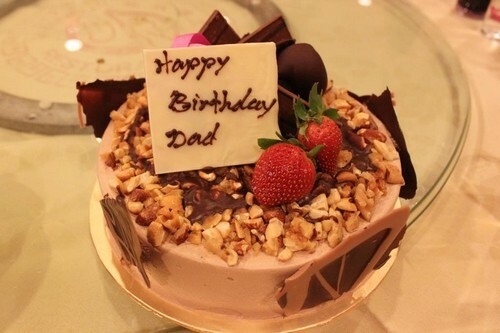 Thank you daddy for your unfailing love… Have a Happy birthday to you, I love you! A person’s life is a monument to their mentors. In your case daddy, Mount Rushmore is not nearly big enough, wonderful bday to you. Daddy, we sometimes argue on some things. But you have turned out to be pretty darn good anyway. I love you so much, Best birthday, daddy! I am so proud of that every strand of grey hair on your head, dad. After all, I have helped you earned them. Wonderful birthday. Happy birthday to the best guy who has brought so much happiness to my life, I love you dad! As you celebrate your birthday today, we will not forget how you spend time taking care of us, providing for us and loving us. We wish you good health, Dad! Know that we are very lucky to have you as a father and no amount of words can ever describe how best of a father you have been to you children. Happy birthday, Daddy! No father will be the same like you. This day retells us without you, there would be no donation to mom and that we won’t be here in the world. Cheers, Daddy! Allow us to spoil on your day, Daddy, it’s the only time we can make up to your selfless love for us. Happy birthday! Celebrating your birthday today means we are more than blessed to have you around. On this day of your birth, I just want to thank you for all your sacrifices and genuine love for us, Daddy. Happy bday! Daddy, you have always been my rock. Thank God my antics over these years have chiseled you to a fine masterpiece. I love you dad, happy birthday! Dear dad, it’s your birthday. So go all out on your special day for you deserve to be happy. I love you so much. Daddy, relax and enjoy because it’s your special day. Don’t worry about taking the trash out, mowing the lawn and painting the fence. All these can wait for tomorrow. Happy bday daddy, I love you! Daddy, remember that I will be home to celebrate your special day. Can you please move y our stuff out of my bedroom? Just kidding… Happy birthday, I love you so much! You are truly the greatest daddy in the world. If this happens to be a Father’s Day, I would certainly give you a tie. However, it is your birthday, so I will just give you all the love, respect and affection, as well as the ties that bind us, wonderful birthday. Happiest birthday to the most awesome and incredible daddy in the world… I love you dad! May you have a great day today! To say that I’m thankful for having a father like you is truly an understatement. I am lucky and blessed and I am overjoyed with love because I have you as my dad. Happy birthday! You are more than just a dad to me – you are my hero, my guide, my inspiration and my best friend. Best birthday dad! Daddy, you have always been so loving and caring. Thank you for being so strong all through these years. You have always been the best dad ever, wonderful bday! Happiest birthday to you daddy. May you always be as healthy and happy as you have made everyone around you! I love you. Wishing you a very happy and incredibly amazing birthday dad. I am so blessed to have you in my life. Thank you for all the great things you have given to me. I love you daddy. Daddy, you are so amazing that I can just shout best bday daddy from the bottom of my lungs up to the bottom of my heart. You are truly a blessing to my life, dad. For this honor, I just want to say that words are not enough to express how grateful I am for having you in my life. Best bday, dad. I love you so much. Wonderful bday, dad. You truly are the coolest daddy in the universe. Thank you for being my best friend, my guide and my inspiration in life. I love you. My life has become a series of very fortunate events since I was born. The reason for this is because I have a very supportive father who has been to me all throughout my journey in life. Thanks for everything. I love you daddy, best birthday! 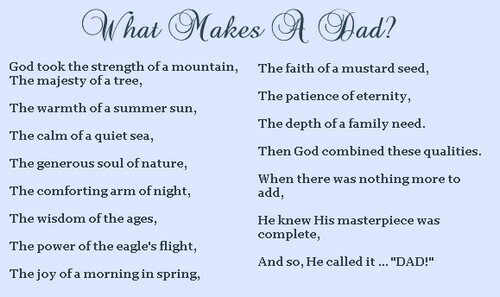 Dad, you grew up without a father, yet you knew exactly how to be a dad for us. You have always been great when it comes to all things. Happiest birthday to you, the best daddy in the world. Wonderful birthday dad. There is truly no better father than you. You have loved me with all your heart and you have always been my best friend through thick and thin. Always remember that I love you so much daddy. I just want to thank the man who has been an instrument to my success in life – my dad. Thank you for everything daddy, happiest birthday to you! Happy bday daddy. I have always felt so safe and happy in your hands. I love you. I now know what it takes to be a great daddy because you my dad have shown me what it takes. You are truly a great father that any child could ever want, happy bday dad. In this life, there are so many things that are frighteningly unpredictable. Yet, you are predictable in the most reassuring way daddy. Thank you for you has always supported me and I am confident that I can always depend on you no matter what the circumstances may be. I love you so much daddy, wonderful birthday. Daddy, you have shown me your love in a lot of ways, whether it is just through simple words, a big hug and a tap on my shoulder. I have always known that I am truly loved. 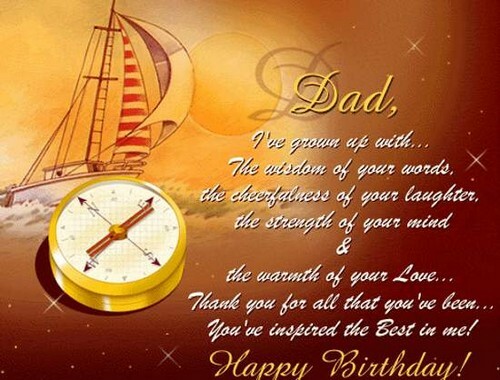 Happy birthday to you dad, you truly are the world’s most loving daddy. You mean the world to me daddy and I just wanted to let you know how I feel since I do not often show you how much I care. I love you dad, happy birthday! Daddy, we love you so much. May your birthday be as special as you are! Be happy for you truly deserve it, happy birthday! Daddies like you are like grease that helps to keep the word turning round and round and helps to keep our family together. Believe it or not, your love keeps me on the straight and narrow path. You truly are the best dad in the world, best birthday!